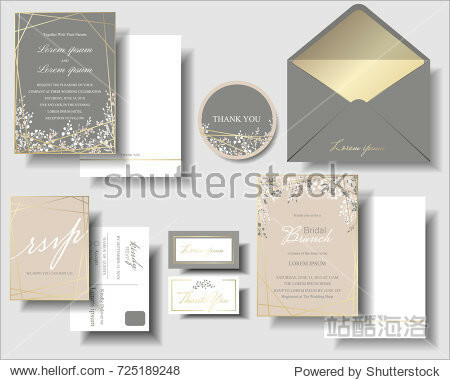 Set of Pink and Gray has a small flower and gold frame wedding invitation card template.Can be adapted to use for birthday. Invitation cards minimalist style. Vector/Illustration.